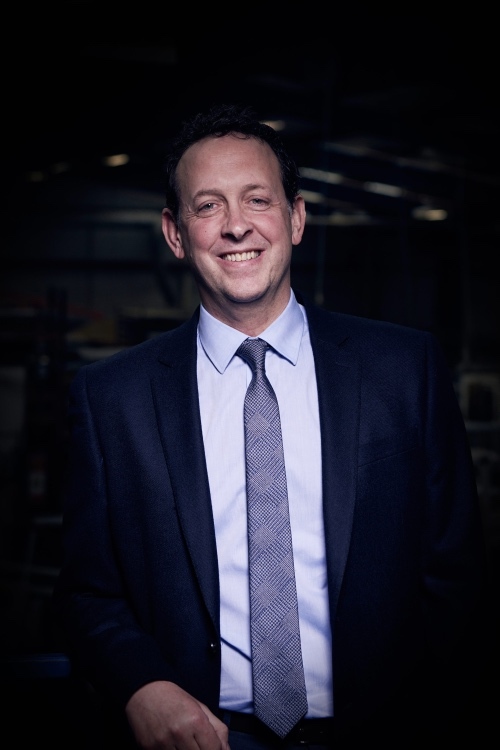 When did you join current company: I joined Rocal Group in 2003, as sales manager, just over 14 years ago when the panelled door market was in full swing. Most useful/favourite gadget: iPhone, though any device for effective business communications is a must. Favourite/most useful website: BBC News – it’s an information-rich portal for general and business news, along with sport, culture and just about anything that impacts on your life. Business person you admire: John Caudwell, a tenacious self-starter. Recommended hotel for business: Premier Inn. They are consistently good, clean and cost effective. Favourite UK restaurant: Winteringham Fields, near Scunthorpe. The food is sublime as is the location, with a working farm. Best business decision: Rebranding the Endurance® Doors composite door range early in 2014 and subsequently investing heavily in its further development. Other interests: Fitness classes, while my three dogs and five children keep me fully busy at all other times. Working Day: My working day typically starts around 7:45am, unless I’m on the road any earlier and I’m always eager to get in and make a daily plan. As we’re a group of companies my remit goes beyond our hugely successful Endurance® Doors brand into foil lamination, extrusion and other manufacturing processes, including door panels. It’s important for me to touch base with our new team of senior management early in the day and inevitably there are meetings and important customer visits to attend. At the end of the day I’m a person who adopts a clean desk policy and so it’s important for me to catch up on all phone messages and e-mails before leaving around 6:30pm, though we operate a 24-hour operation. Working Location: I now live just 3 miles from the office; however, for the first 10 years I had a 150-mile round trip. A short journey home after a long day is a pre-requisite for spending family time and recharging the battery for the following day. I firmly believe that effective management requires rest, focus and commitment. My physical office is close to the action in customer service and sales, which is a great barometer of how we are operating as a business. It also means that I can address any customer needs quickly and effectively and also through our senior management team. On the days that I’m out on the road, technology also allows me to interface with the main office. Few people know that we were one of the founders of the solid core composite door sector back in 2002, when we traded under the Rocal brand. At that stage in the composite door life cycle, GRP doors dominated, yet we dared to be different. For the first ten years, we built a strong business and spent considerable time fine-tuning our product offering, particularly with the core of our door. We wanted a solid timber core that didn’t warp, twist or delaminate and furthermore offered additional performance enhancements to eliminate the risk of water ingress. Today, the Endurance® Doors specification includes the taping of all apertures and also the integration of our unique Moisture Barrier System to the foot of each door, in the form of a cellular foamed extrusion, manufactured within the group. For over 4 years we have also been working with 3D Laminates with their unique CoolSkin product, which offers a life expectancy in excess of 25 years and comes with a comprehensive 12-year warranty. This door skin provides a unique finish to our doors that is a perfect match for the foils used on our Rehau door frames, unlike GRP which must be painted, stained or embossed. As an industry, we need to be mindful of the fact that an entrance door is subject to far more wear and tear than a typical replacement PVC-U window and consumers will expect effortless long-term performance and striking good looks, something that’s part of our product mantra at Endurance® Doors. Our customers wholeheartedly buy into this philosophy, as our impressive financial performance shows. In 2016, we proved to be one of the fastest growing brands in the composite door sector, with sales up over 40% on the previous year and November 2016 we were up an incredible 63% on the previous year. Growth has in fact increased in 2017 with audited figures just short of 45% for the first six months with the trend continuing into July and August. The composite door market is growing, there is no doubt about that, yet our statistics are clearly highlighting the fact that we’re taking market share. The market has clearly polarised between the cost-effective GRP doors and the solid-core composite doors, with the latter segment outgrowing the other. Consumers are inspired by the designs and colour options inside and out from solid-core composite doors and we’re now able to offer 17 different door slab finishes and similarly 14 different door frame options. We don’t rely on door blanks, rather we are a manufacturer of bespoke entrance doors and there’s a clear and fundamental distinction here, which is also reflected on our Door Designer. This online Door Designer is receiving heavy usage from both installation partners and consumers looking to create their ideal door. It’s a relatively simplistic process that doesn’t require an App, but does allow for an accurate design to be created, saved, shared or even placed on top of an existing image of the homeowner’s property. We’ve also created a Preferred Installer network who enjoy pre-qualified sales leads and our latest statistics from Google show that web traffic is up over 300% on the previous year, whilst we rank very highly across the board of search terms. Our marketing function has already grown, with two full-time members of staff managing our activities, along with key external partners. While digital marketing technologies and techniques have helped generate direct enquiries, more traditional means of support are all part of the marketing mix. Our 92-page brochure is a comprehensive resource for anyone in the industry and has been recently supported by The Finishing Touches publication, designed to communicate glass and hardware options, helping to create the most individual of designs for an Endurance® Door. Market research remains a little-used tool within the industry, but now we’re harnessing the Survey Monkey platform to generate further customer feedback, on what we do and how we can respond to the needs of our customers. The result of this is the #youaskedendurancelistended initiative, which has been a huge success with new point-of-sale materials coming on the back of it. It’s also been a useful process to assess what colours and finishes our customers would like to see next. We’ve just launched duck egg blue on the back of this important feedback, with a unique and dedicated CoolSkin foil from 3D Laminates, which are now specified on 95% of our doors and for good reason; they perform far better than other foiled sheets and certainly ABS sheets. During the course of 2017 we have also added new hardware options including an impressive bull ring knocker and new heritage and architectural hardware ranges, as our thirst for product innovation continues. These new suited hardware ranges have again come from our close business partnerships, this time with ERA and will facilitate the design of period-inspired doors and the more contemporary options, which are becoming increasingly popular. Our sales analysis now shows that our Mayon door from our Urban Collection is our most popular design, with anthracite grey and schwarzbraun accounting for nearly 40% of sales. The demand for greys is industry wide across the home improvement sector in both PVC-U and aluminium, but in the composite door market we are yet to see the real adoption in flat colours. We’re on the cusp of the adoption curve for such finishes, which will also be supported by the introduction of metallic finishes, which look as close to aluminium as you’ll ever get. 2018 in my view, will be a game changer for the composite door sector as it seeks to compete head on with aluminium in the entrance door market. But what of our direct challenges as a business? We are owner managed, which means we can adapt to the needs of the marketplace quickly with a short product development cycle. We can also harness group resources in terms of extrusion, foil lamination and finance to support our sustained growth, but staff development and customer care will remain core to our values. Collectively, this will fuel the continued growth of Endurance® Doors today and long into the future.